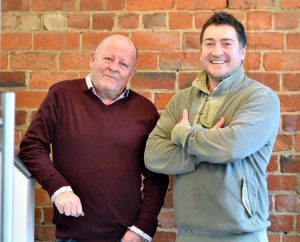 Leeds-based Intermarketing Agency has hired two internationally award-winning creative directors. Stuart Arundel and Glen Cartwright join the agency having previously worked together under the Beautiful Minds creative partnership. During 30-year careers, the pair have picked up New York Advertising Festival Gold, Roses Golds, Cream Gold and epicas awards, working with clients including Arla Foods, Aviva, Fiducia Insurance and Augmentory. They'll be working alongside Intermarketing’s 161-strong team based in London, Leeds, Amsterdam and Sydney. The agency currently works with adidas, Jet2.com, More Than, Bupa and the Shop Direct Group. The agency, which recently launched experiential offering Intermarketing X, says it increased turnover by 44% last year.